Dakota Skye was a “Better Mens & Ladies” Apparel Collection. This was sold into mainly specialty boutique stores and select department store accounts. 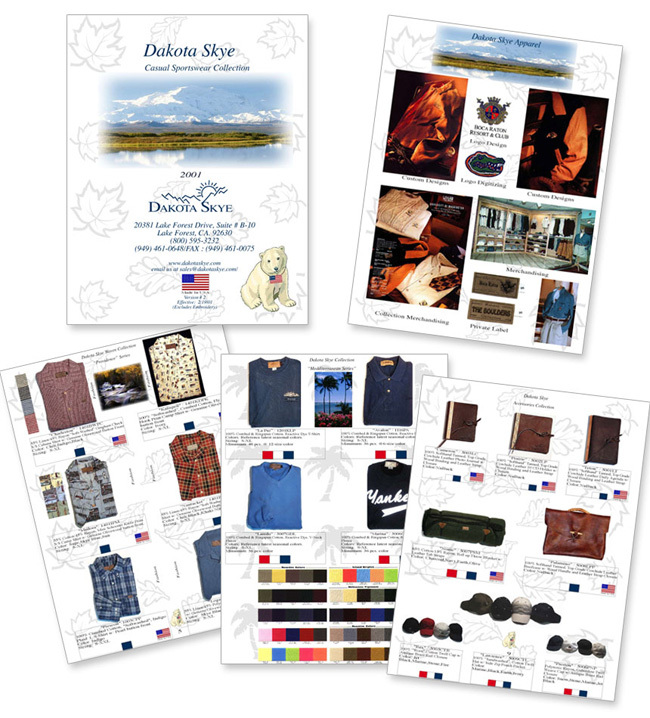 The Dakota Skye product line grew from very humble beginnings to nationally and internationally distributed brand. In addition to the Dakota Skye product, “private label” collections were produced as well. At the end of the long nine year run, we would sold the company to a private investment group.